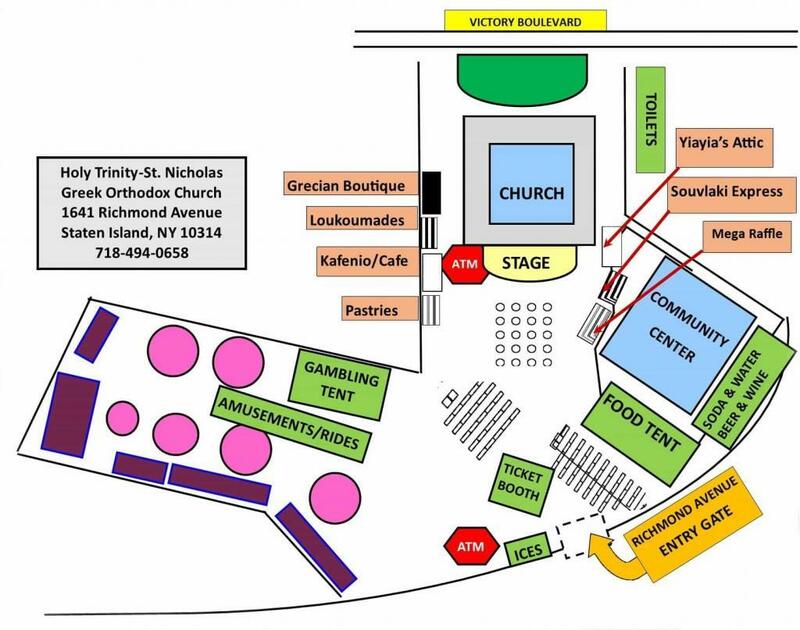 Join us at Holy Trinity – St. Nicholas Greek Orthodox Church for the 45th Annual Staten Island Greek Festival! 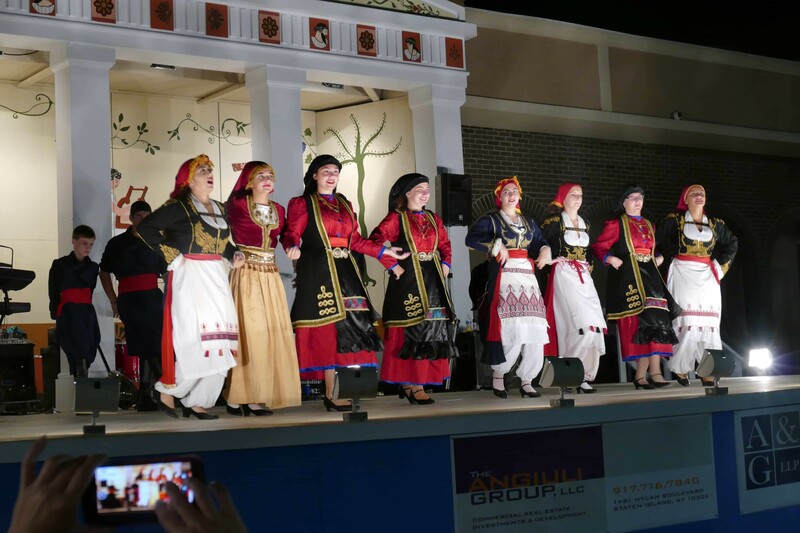 Started in 1971, the festival brings together people of many cultures in an annual celebration of community spirit. 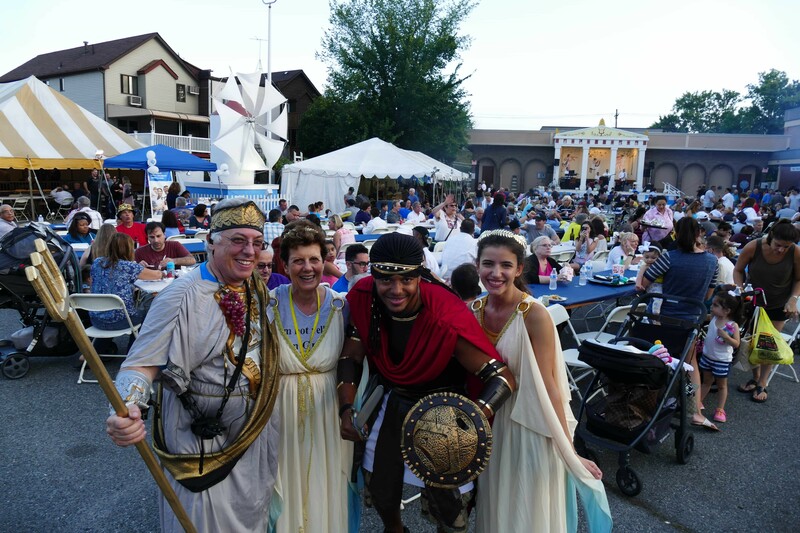 Over 20,000 visitors will be on-hand across two weekends (Sept. 7-9 and Sept. 14-16, 2018) to celebrate a rich history of Hellenic culture with Greek food, music, dancing, raffles, and carnival rides and games. Cultural appreciation in a carnival atmosphere = FUN!! 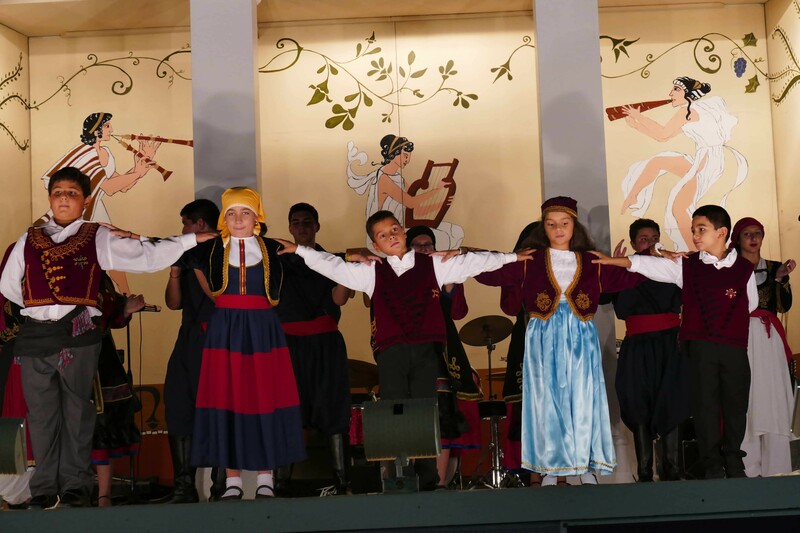 Take a trip back in time with a taste of the Old World! 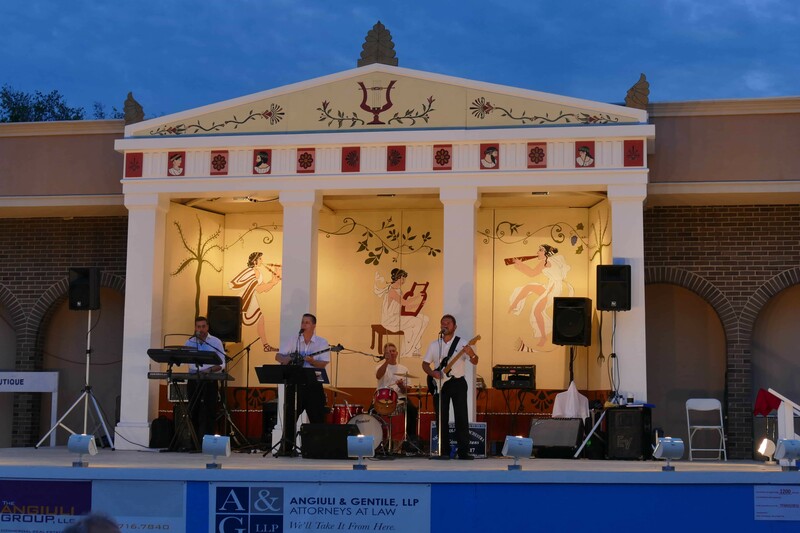 Greek and American food and drinks, with select items prepared by traditional Greek means. Live music, played on stage every night! 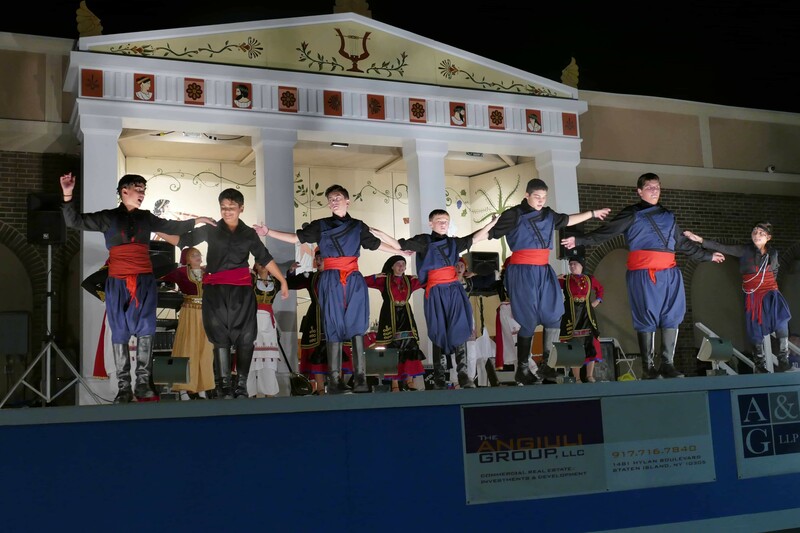 Be entertained by traditional Greek dancers dressed in folk costumes, and join in the dancing yourself. Rides aren’t just for the kids. 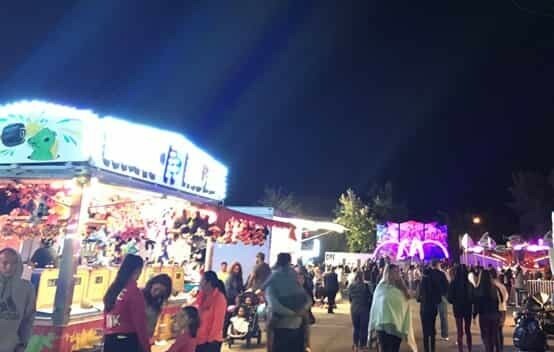 People of all ages can spin, fly, and twirl on timeless carnival rides. Our advice? Hit the rides before you eat! Play classic carnival games and shoot, toss, and throw your way to fun prizes! Stop into the gambling tent to try your luck in any one of our many games of chance. Click below to see what special events are happening each day. Indulge with delicious Greek and American foods, pastries, and beverages. Limited tickets, with a 1 in 30 chance to win 20 awesome prizes! Not sure what to see first? Here’s what you’ll find in each location. 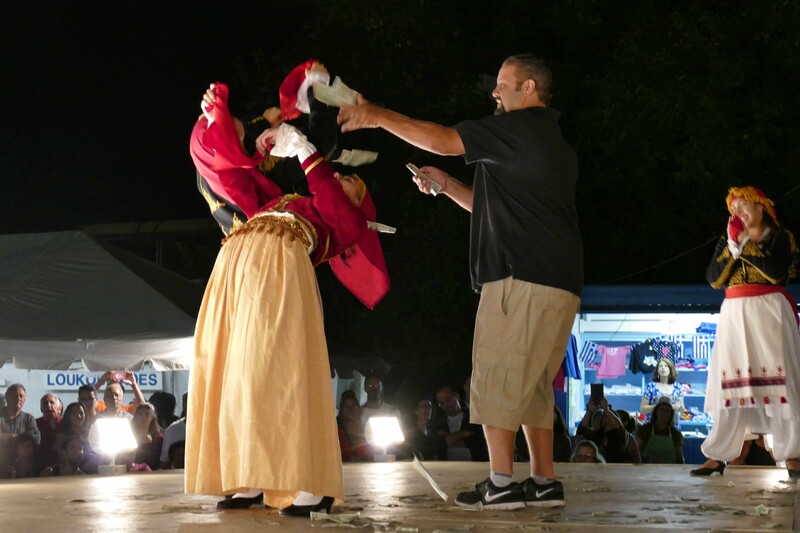 Community support helps make the Festival succeed. Help us make this the best one yet! View previous festivals and relive some fun. Menu and entertainment subject to availability. 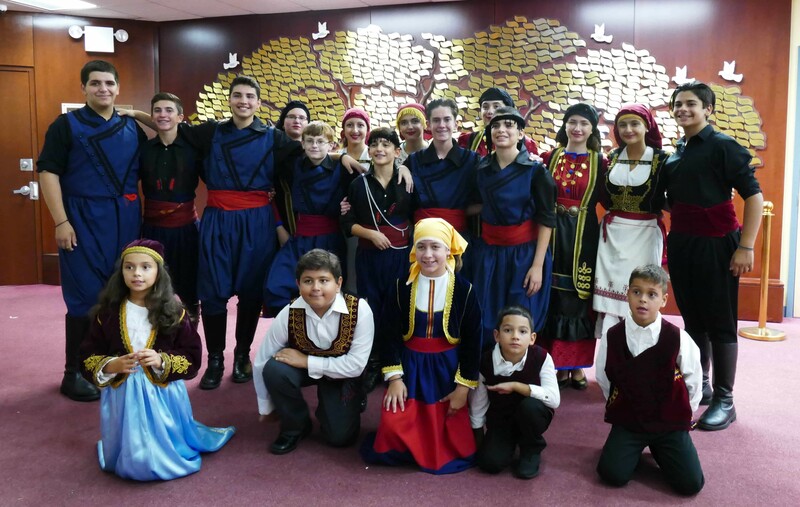 Copyright © 2018� Holy Trinity – St. Nicholas Greek Orthodox Church. All Rights Reserved.